For many girls, the first representations they see of a woman, besides women in their family, of course, is the Barbie doll. I had a complete collection of Barbies when I was growing up. But back then, none of them looked like me. Over the years, Mattel has gotten more progressive and inclusive with multiracial and multi-ethnic Barbie dolls, plus Barbies representing career women of all kinds. Like female film directors – remember that Ava DuVernay doll that sold out in 15 minutes last Fall?! But today comes some big news from Mattel: they’re launching petite, tall and curvy Barbie dolls! The 2016 Barbie® Fashionistas™ Dolls, exclusively available on Mattel Shop, include 7 new dolls each in petite, tall and curvy versions, and 12 original versions as well. The full line of the new dolls will roll out throughout the year and features dolls of 4 body types, 7 skin tones, 22 eye colors, 24 hairstyles, and numerous fashions and accessories. I love that Mattel is continually adding to their Barbie product line so that young girls can see themselves in dolls that look like them, and aspire to a wider range of careers as well. Of course, dolls are not the only source of inspiration that young girls should be getting, but it’s still important. 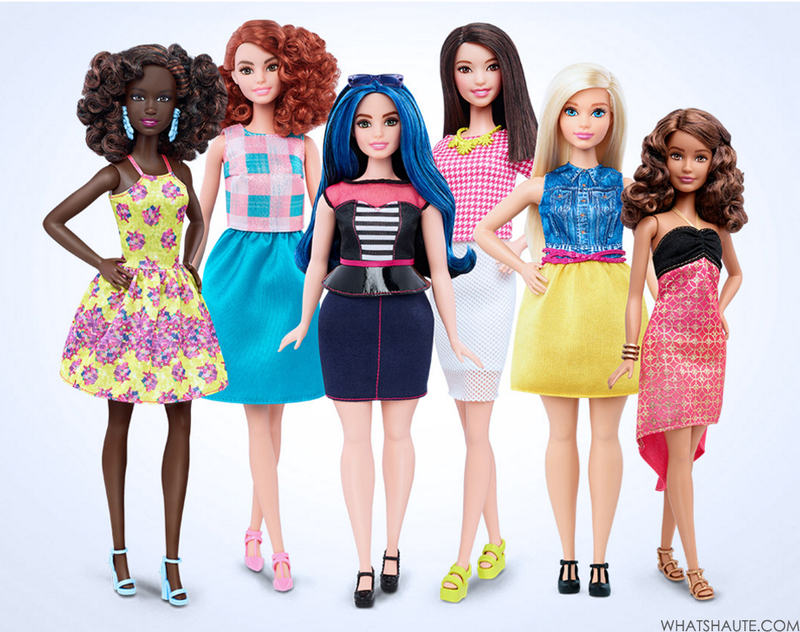 What do you think of the launch of these new Petite, Tall and Curvy Barbie Dolls? Ehmonie Hainey is the Founder, Publisher and Editor in Chief of What's Haute Magazine and Handbag du Jour. What's Haute Magazine is a fashion, beauty and lifestyle destination, featuring a clever mix of emerging and popular fashion designers, beauty and product reviews, celebrity style, personal style and life in NYC. It's where fashion, beauty and life get styled! Ehmonie's work has gained her press mentions in Women's Wear Daily, Uptown Magazine, Glamour Magazine, The New York Times – Style section, Black MBA Magazine, MTV Style and Black Weblog Awards blog. Additionally, Ehmonie has contributed fashion articles for Sheckys.com and Examiner.com. She is based in New York City. Follow What's Haute on Facebook, Twitter, Instagram, Pinterest and YouTube. Hey DC: Come Check Out Peruvian Connection this Thursday!